MILAN (Bloomberg) -- Ferrari said sales growth will probably slow down in its first full year of independence from Fiat Chrysler Automobiles, sending the shares to their lowest level since the supercar maker’s Oct. 21 initial public offering in New York. Ferrari said it will probably ship 7,900 vehicles this year, about 3 percent more than last year’s figure of 7,664. Shipments grew about 6 percent in 2015, though deliveries in China slumped 22 percent. 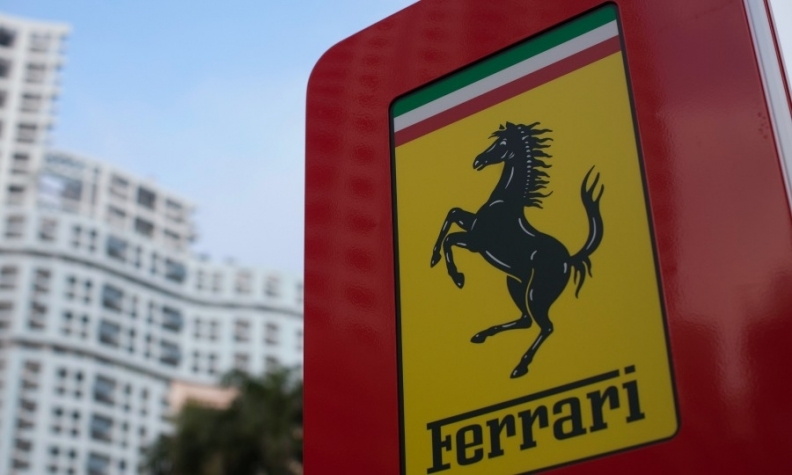 Chairman Sergio Marchionne said in mid-January that Ferrari could eventually boost output beyond its target of 9,000 autos in 2019. At the same time, he reiterated that the company will “be fine” as long as it follows its founder’s seven-decade-old dictum and builds fewer vehicles than customers want. The shares fell 12 percent to close at $34.98 in New York on Tuesday. Ferrari’s spinoff, which included a listing in Milan, was completed at the beginning of the year. Ferrari said its adjusted earnings before interest and taxes will be more than 770 million euros this year, also a slower increase than last year, when profit rose 7.9 percent to 748 million euros. The fourth-quarter figure fell 6.2 percent. Net industrial debt at the end of December totaled 1.94 billion euros.